Oliver Schutzmann is a veteran of IR in the Middle East with a career spanning two decades and encompassing everything from roles at Euromoney and The Economist to establishing the IR function at Dubai-headquartered SHUAA Capital. 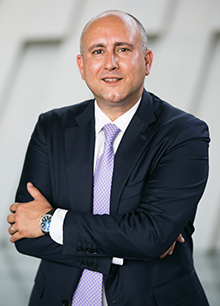 He also served as a founding board member and chairman of the Middle East IR Association where he devised the Certified Investor Relations Officer (CIRO) accreditation program. He is now co-founder and CEO of Dubai-based consultancy Iridium Advisors. As IR Magazine builds up to its 30th anniversary issue – the upcoming winter 2018 issue, which will be the 279th edition of the industry’s flagship magazine – we’ll be posting throwbacks to old covers, revisiting some of the hot topics from the past 30 years of investor relations and hearing from some of the industry titans.